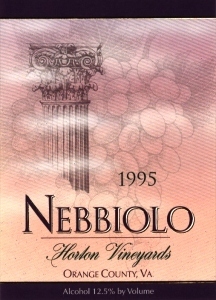 Nebbiolo is a dry Italian red from Piedmont Italy. It is named for the fog that rolls in over the grapes during the time of harvest, coming from the word nebbia, which means fog. This is a light red, fruit forward and light oak finish. Pairing: lasagna, minestrone soup, sour dough bread and soft cheeses. 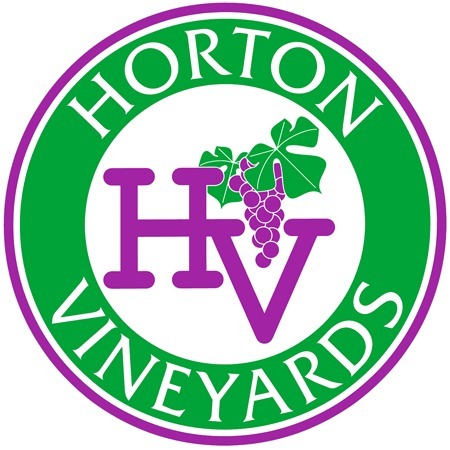 Review:Horton Vineyards, Orange County (Virginia) Nebbiolo 2014 ($25): Blind tasting always reveals some pleasant surprises, like when you get a wine that presents as though it were spot-on Barbaresco, but turns out to be from Virginia’s Orange County. Horton is making a lot of noise on the competition circuit already this year thanks to carefully crafted wines like this one, which shows blueberry, tar, bay leaf and earth tones, all woven together artfully, with the puckering tannic structure you expect from Italian versions of Nebbiolo. Give this a long decanting or a long cellar rest. And good luck finding Piemonte Nebbiolo at this kind of price. A Platinum Award Winner at the 2018 Monterey International Wine Competition.